Named after the private dining halls of the grand emperors of bygone days, Dynasty Restaurant is an elegant Chinese restaurant in Renaissance Hotel with majestic decor, serving a wide range of Cantonese cuisines which are all delicately prepared. 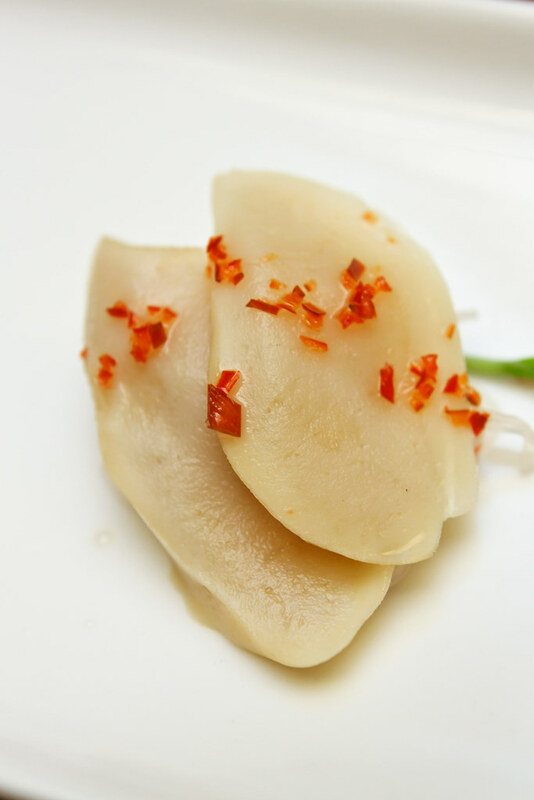 Being an award-winning dim sum restaurant, Dynasty restaurant never fails to satisfy diners with scrumptious dishes. 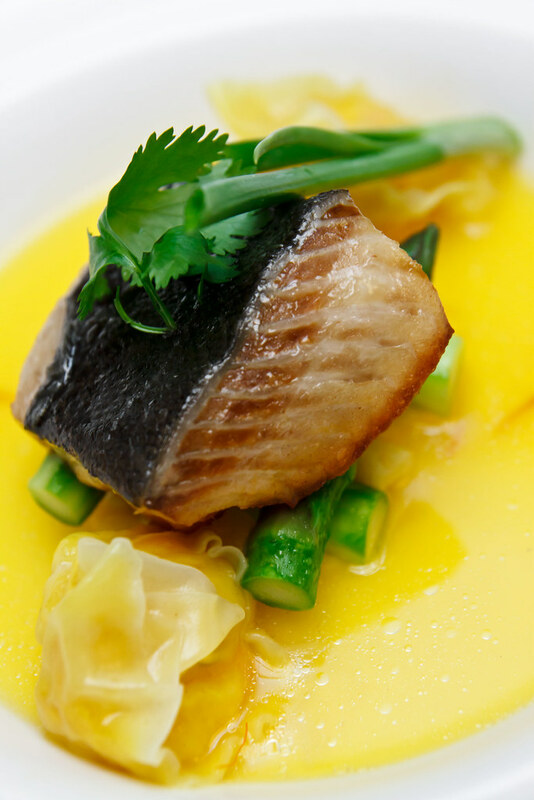 This time, they join in the 2012 MIGF, continues to serenade diners with a Festival Menu that finest flavours of Cantonese Cuisine. 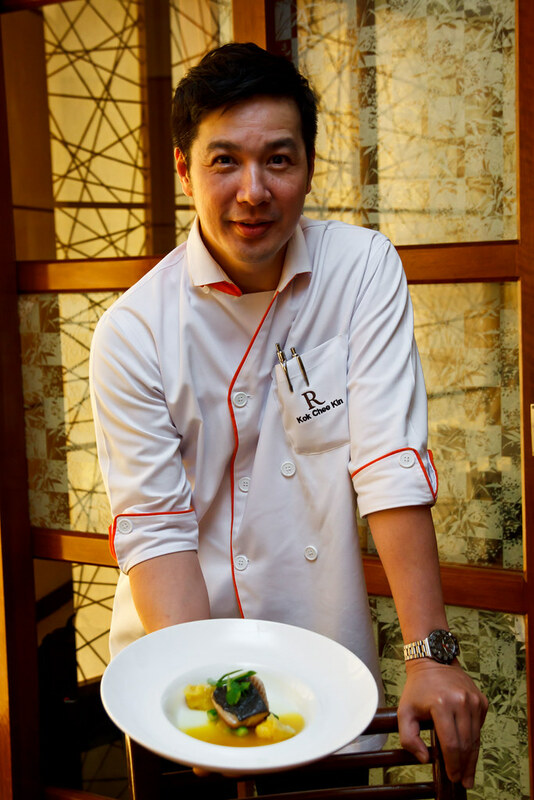 The soul behind this Festival Menu is the Executive Chef Kok Chee Kin, who has over 20 years of experience in culinary arts. Together with his team, Chef Kok combines modern flavours into each dish, but at the same time retaining the purest and traditional goodness of Catonese cuisine, just as what MIGF theme “Classical Chefs!- A symphony of Great Cuisines” this year, which highlights on serving the purest cuisine using the traditional way of cooking. The meal starts with Trio of Appetizers (满富楼精品三款), which has Steamed Seafood Orange Dumpling, Abalone with Chilled Spicy Vermicelli Salad and Yin Yang Norwegian Salmon. 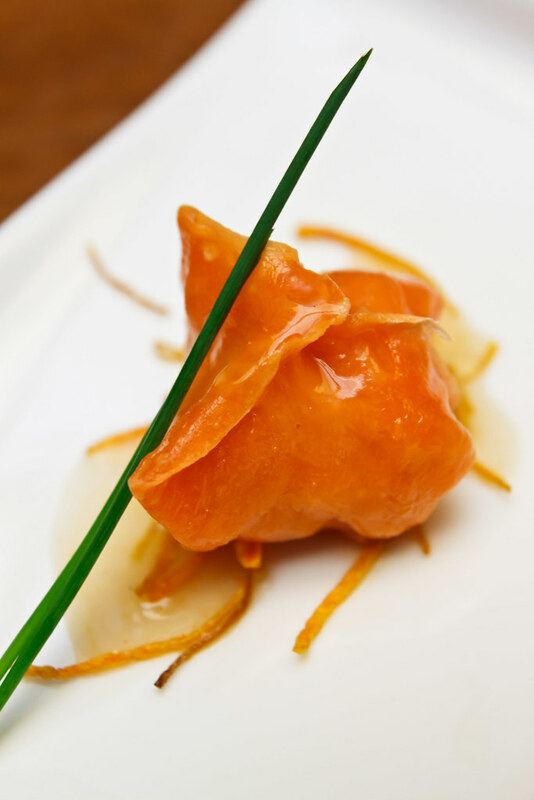 Bright in colour and taste, the dumpling with seafood filling is meant to be savoured with care, added with a touch of orange sauce for zingy flavour. A cold starter that combines a good texture of fresh abalone and vermicelli salad, simple but luxury with a hint of spiciness. 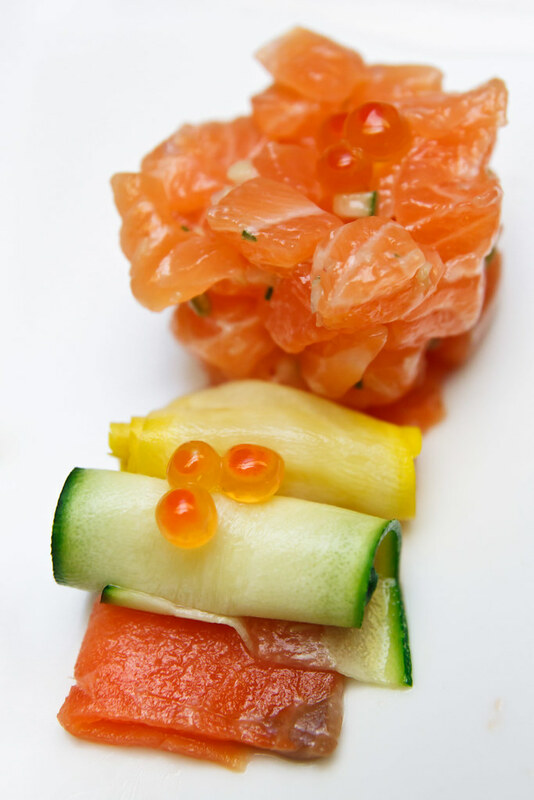 Marinated salmon with olive and fresh salmon with tartar sauce being served side by side, meaty and fatty fresh. 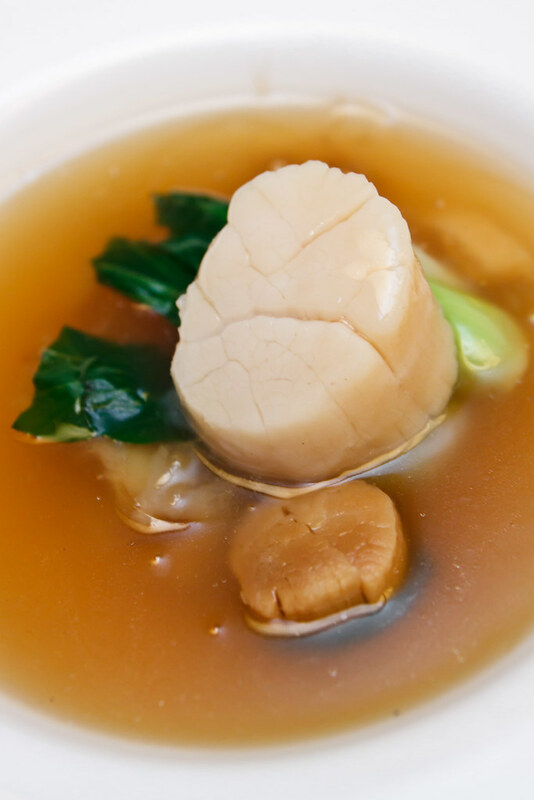 A luscious soup with a huge scallop crowing on top of fish maw, shark fins, dried scallop and cabbage. Can’t really determine we should go with the soup or the ocean treasure first, as they both come best when savour together. 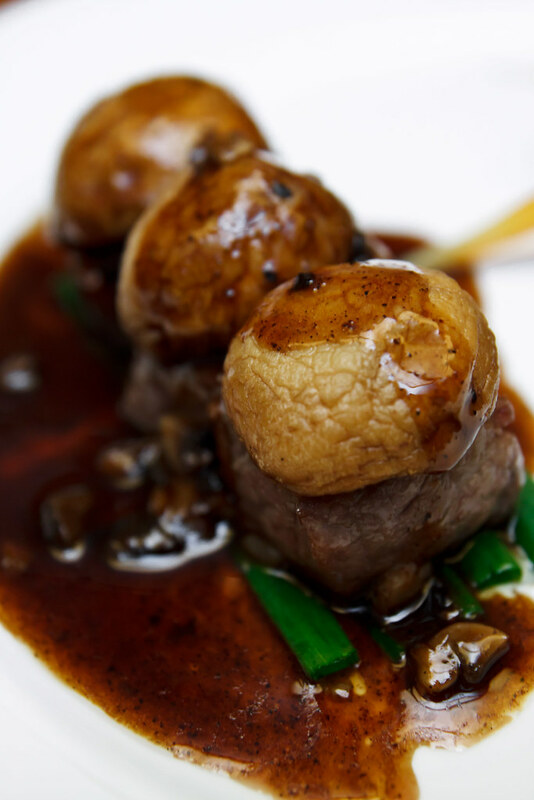 Pan seared Wagyu beef topped with fresh mushroom, bringing two levels juiciness from both the beef and mushroom. Delicious enough without any sauce, better with the fragrance from black pepper sauce. 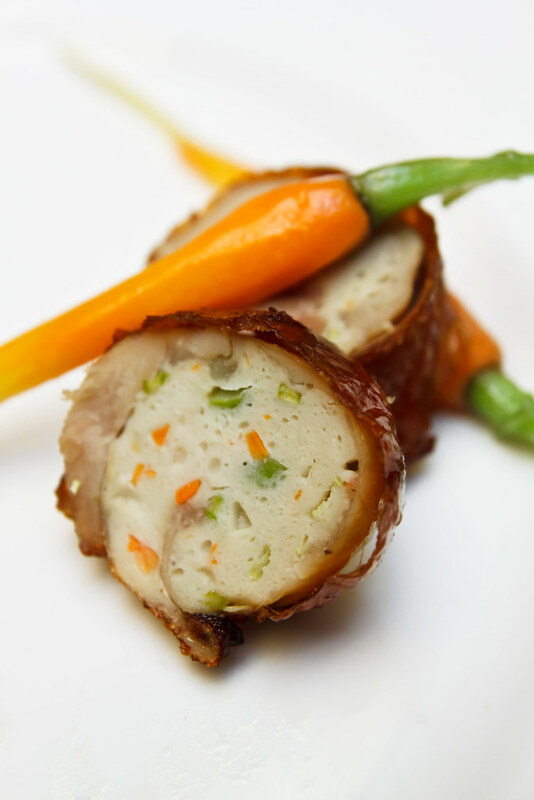 Serving alongside is the mini young carrot with Roasted Roulade of chicken, which has tender chicken meat wrapped with bouncy meatball paste. Fork through the grilled cod fillet, slightly dip it with the yellowish saffron sauce and tuck into mouth, we smile as the soft fish fillet with good flavour surrounding our palate. The mashed potato sitting beneath is equally tasty, creamy and buttery, just the way we like it to be. The wantan seems odd to be in the same plate, but who cares when it tastes so delicious. 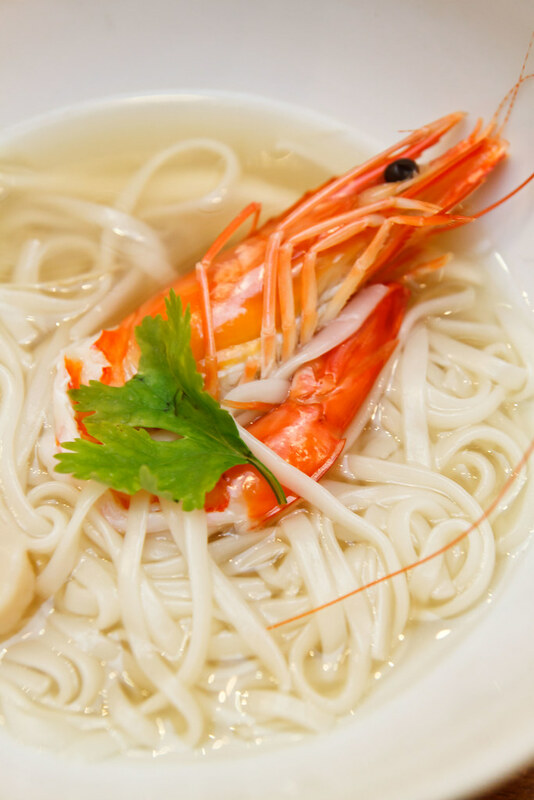 Velvety smooth Japanese somen served in a bowl of clear soup that is lightly infused with the essence of ginseng wine, accompanied with fresh prawns and scallop. Simple but luscious. The meal ended with strawberry-red bean ice cream that is soft and creamy, and the combination of strawberry- red bean somehow brings in a subtle sour plum aftertaste. 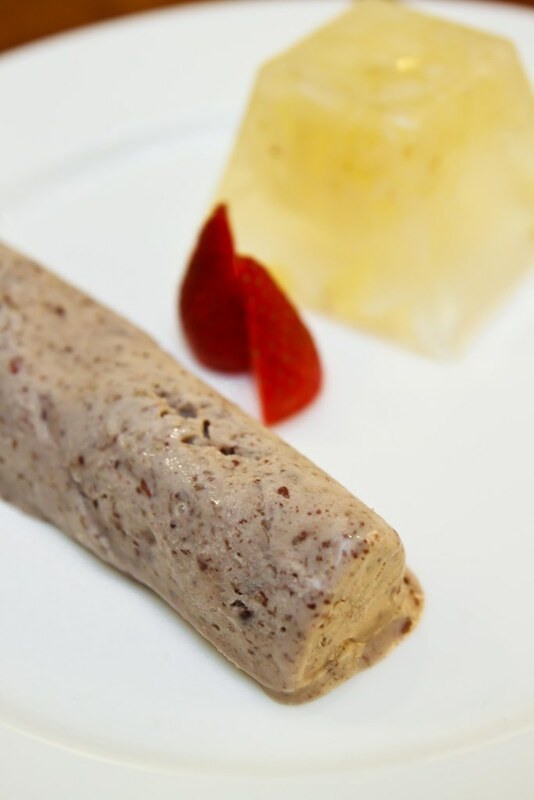 The chilled water chestnut jelly, on the other hand, is chewy with crunchy water chestnut bites. The festival menu which comprises of all the dishes as shown above are priced at RM138++ without wines and RM188++ with wines. For those who prefer lighter meal, he/she can go for the Light Festival Menu which is priced at RM108++, comprises of Trio of Appetizers, Soup, Choice of One Main and Dessert. -20% discount on benchmark room rate. Applicable with Festival Menu booking. Lets make a date with Dynasty Restaurant to sample out the delicious Festival Menu. The restaurant is opened daily for lunch from 12pm to 2.30pm and dinner from 6.30pm to 11.00pm. 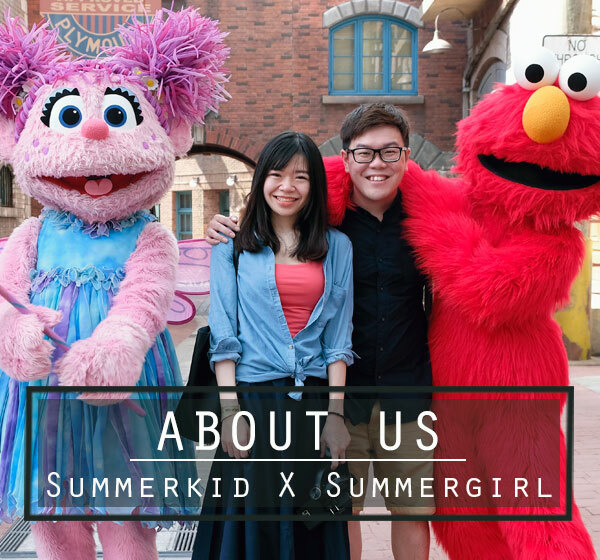 For enquiries, please contact 03-2162 2233 or email rhi.kulrn.fb@renaissancehotels.com. Read more on MIGF 2012 participated restaurant from Renaissnance Hotel HERE.